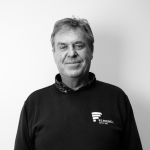 Having founded the company in 1980 Roy remains the backbone of RS French and can still be found in the yard or out and about on site ensuring the same family values and work ethic that built the strong foundations of the business all those years ago are still maintained throughout every job. Having taught his sons (almost) everything he knows Roy is confident the family business is in safe hands for the future and can rest assured that the core fundamentals that RS French were built upon remain strong. 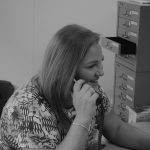 Linda has played a pivotal role in the development and growth of RS French going from 1 lorry, 1 container and the odd telephone call to the house to the thriving business it is today. 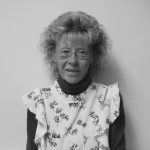 Still active within the business Linda can these days be found keeping an eye on the accounts department and ensuring the rest of the team are kept in line. Having worked at RS French from a young age Matthew has learnt every aspect of the business and the true meaning of hard work. 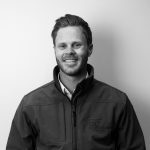 With a break from the family business to gain a Masters in Mechanical Engineering from Bristol University Matthew returned to RS French and still very much enjoys the daily challenges that running a business throws at him. 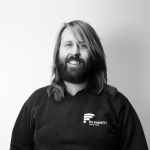 As a fully qualified appointed person a very hand on approach is still maintained and Matthew is still regularly found with a welding torch in his hand assisting the fabrication team. Having also been involved in the business since he could walk Christopher classes himself as the good looking one in the family! Christopher loves a challenge and nothing drives him more than arriving at site and hearing the words “you won’t be able to lift that”. With a real passion for customer satisfaction and a dislike for disorganisation it is these fundamentals that push Christopher and RS French onwards and upwards. Having previously worked as a College Lecturer, Vocational Centre Manager and then a Customer & Workshop advisor for a top UK Ferrari Specialist Martin joined the team in 2015 to assist Matthew in the ‘day-to-day’ running of RS French, management of staff, build upon existing customer relations, create and develop advertising/marketing campaigns and establish new business opportunities within the sector. 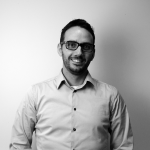 Carl has recently joined the RS French team and brought with him a wealth of experience in sales management, operations management & project management. 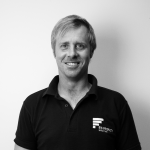 After working in the construction industry for many years and having run his own construction company Carl wanted to put his knowledge, passion and dedication to good use and aid with the overall development of RS French. Having worked in and around construction for most of her career Charlotte joined the team to support the office in several areas such as the hire and sale of containers, accounts and general administration duties. With a ‘can-do’ attitude and positive approach Charlotte fitted into the team straight away and is always happy to take on the next challenge. 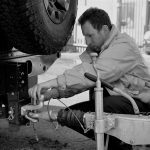 With an extensive career history in mechanics, vehicle restoration and engineering Shep was welcomed in 2015 to facilitate the ever growing fleet of vehicles and self-contained welfare units where generators were incorporated and therefore required regular maintenance and servicing. If you are unfortunate enough to require a repair to a unit on site following component failure or a break-in then it is Shep that is also most likely to pay you a visit to rectify the issue. Having spent many years as a Fisherman, Martin then became a driver and crane operator working mainly in the construction industry. With years of experience operating boat cranes in difficult conditions it is these fundamentals that give him the ability to see through a problem and find a solution when carrying out complex lifts in (quite often) less than ideal conditions. With a vast array of knowledge and skills between them the workshop and service team at RS French are second to none and have yet to come up against a project they could not overcome. 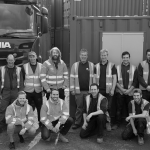 As well as the team based at our fabrication facility near Faversham we have the service team that are able to assist with any issues you may have on site.